If you like a vehicle which is different to a prescribed concept then the Rainier from Buick could be an answer. As a mid-sized SUV, it was truck-based with an original body-on-frame structure and a standard rear-wheel-drive, but with AWD available. The Rainier should be seen as a versatile vehicle, demonstrated by its ability to carry a considerable amount of cargo; 2.3 cubic meters and tow heavy loads of up to 3039 kilograms. With an original body structured onto a frame, this truck-influenced midsize SUV achieves the distinction of being the first Buick vehicle for a significant time that offered this type of body construction. The support of a rear-wheel-drive or an optional AWD contributes to its work-horse capabilities. The design of the Buick Rainier can visibly be seen to have been primarily sourced from the General Motors' mid-size SUV platform. 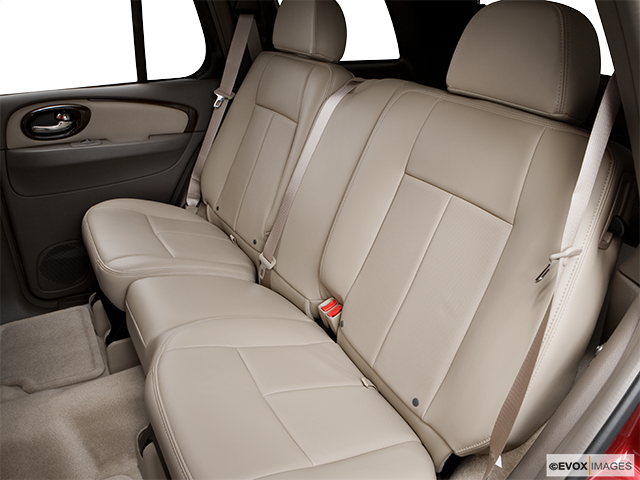 Accordingly, there are similarities to the Chevrolet TrailBlazer, Envoy and Oldsmobile Bravada. The latter was replaced by the Rainier upon discontinuation of the Oldsmobile division. Within this SUV segment, the Rainier gave the designer impression of being produced to be the most comfortable and upmarket of the contenders. With the Buick exclusive rear-air-spring suspension, the Rainier succeeded in smoothly negotiating uneven road surfaces. This was supported by the Buick' "QuietTuning" which produced an almost silent interior environment. The Rainier was also recognized as being the only standard-length SUV that offered its buyers the option of a V8 engine. In addition, it was regarded as being supplied with the highest amount of standard equipment! With smooth-performing and robust powertrain complemented with a challenging acceleration, the overall ride was comfortably efficient and quiet. 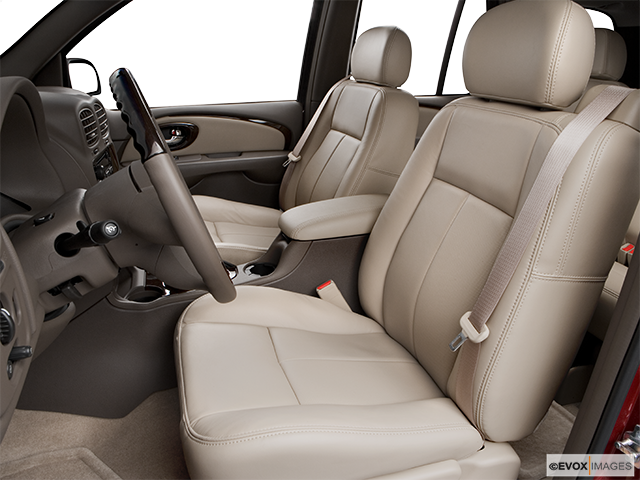 In 2004 the Buick Rainier had received minor updates having originally been marketed in CXL and CXL Plus trim levels. It was powered at that time by a 6-cylinder engine that generated 275 horsepower with 275 lb-ft of torque. For those wishing extra power, they had the option of a V8 that turned out 290 horsepower and a torque of 320 lb-ft. In addition to a significant torque increase, the V8 also offered a cylinder deactivation system, which gave a fuel saving when the vehicle was cruising. However, whichever option was chosen the standard transmission was a 4-speed automatic but with both engines made available with a rear or AWD. 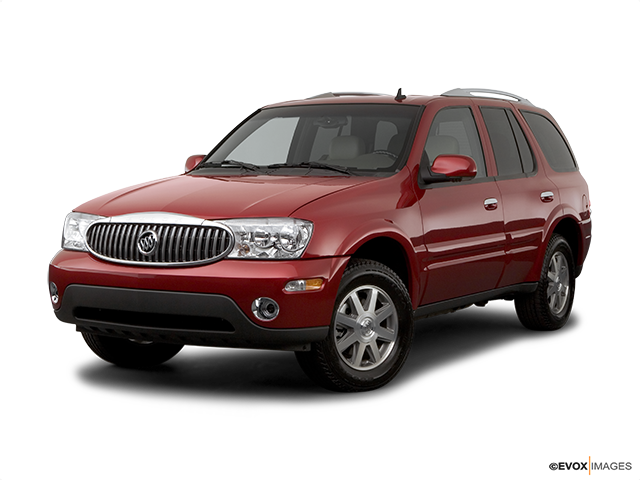 2007 was the final model year for the Buick Rainier SUV. It was discontinued, to be replaced by the highly regarded Enclave. The Buick Rainier will be remembered for its ability to break and improve upon tradition, which it did with original versatility.